Daily Messes: Don't Forget Safety (Gifts)! The gift buying season is upon us. Every year I sit down and make a list of the people I need to buy for and struggle to match that list to gift ideas. Face it, some people are harder to shop for than others. Since I'm probably not the only one with this problem, I thought I would share some of my ideas. Today's list has gifts to help keep those you love safe. Check back often throughout the month for more gift buying ideas! Good luck shopping! May the deals be plentiful, your cart overflowing, and your wallet not emptied. Unkers: When I first heard of this rub, I thought it was a new version of "snake oil". However I tried it on some sore muscles and it really does work! Runner's Reflective Vest: Hubby likes to run before or after he gets home from work. It's dark at both these times, and I would rather he not get hit by a car on our busy road. ID's for runners (or even kids). http://www.roadid.com/ offers a lot of different products. You can customize your tag with name, medical conditions, phone numbers, etc. It's great for runners who often run alone, in races, etc. They have shoe tags that would be great for kids too! Safety Tread: Stairs and walkways can get pretty slippery in the rain and snow. Add some safety tread on to reduce the chances of falling. Safety Glasses: There have been plenty of times that I have cut the grass or used the trimmer and been hit in the face with flying debris. Safety glasses are a great way to protect your eyes. They come in many shapes, colors, and styles. First Aid Kit: We always keep an updated first aid kit in our house, usually in the kitchen. I also keep smaller kits in the car, diaper bag, and my purse. It may sound a tad redundant, but I don't always carry the diaper bag if I have my purse since the boys are older now. If I'm riding in someone else's car, they may not have band-aides on hand. A car window breaker/seat belt cutter. I have a keychain one that is pretty small. It had good reviews, but thank goodness I've never had to use it! Quikclot Sport Advanced Clotting Sponge: These are great in a First Aid Kit, especially if you are going to be in an isolated type of area (hiking, backpacking, biking). Gun Lock: Make sure you use a combination that is hard for the kids to know (not 111 or 123). Carbon Monoxide/Smoke Detector: We have one in almost every room of our house. It seems like each year I hear on the news about someone passing away in a fire because they did not have a smoke detector in their house. If you have natural gas, you also need a carbon monoxide detector. Please get a detector and check it every few months to make sure the batteries are still good and it is still working properly. Fire Extinguisher: Long before the kids were born, I attempted to make fried mozzarella sticks. It did not go well. I caught the pan on fire and hubby had to bring it out to the yard and use the extinguisher on it. We keep one on each floor of the house. Fire Escape Ladder: If you have a multiple story house, it is probably a good idea to have one of these. Noise Blocking Stereo Earmuffs: What? What did you say? If you (or someone else in your family) cuts the grass, you should be using ear plugs or earmuffs to protect your hearing. These are great because you can protect your ears from the outside noise of the lawnmower, but listen to your music at the same time. Motion Sensor Spotlight: This one is easy to install since it runs on batteries and is wireless. It is also weatherproof. It's great for when you are coming home and forgot to turn on the porch light before you left or as a home safety device. Keypad Deadbolt: I locked myself out of my house. Twice. If you've ever locked yourself out, you know what a pain it can be. If you have a keypad deadbolt, you just need to enter the code and the door will unlock. It also has a traditional keyhole. With this one, you can also assign a temporary code to anyone who will be house sitting, etc., and you can delete it later. Steel Toed Boots: Even while cutting the grass, I normally wear my hiking boots to provide additional protection. Some jobs require people to wear steel toed boots, or you may just want to have additional protection from everyday potential injuries. Car Kit. We always keep one of these in our car. 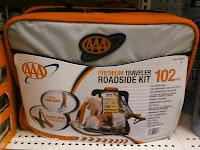 The larger kits come with jumper cables, small first aid kits, flashlights, blanket, etc. Jumper Set. There are a few different options for car jumper sets. The Jump Starter can be charged from an outlet. 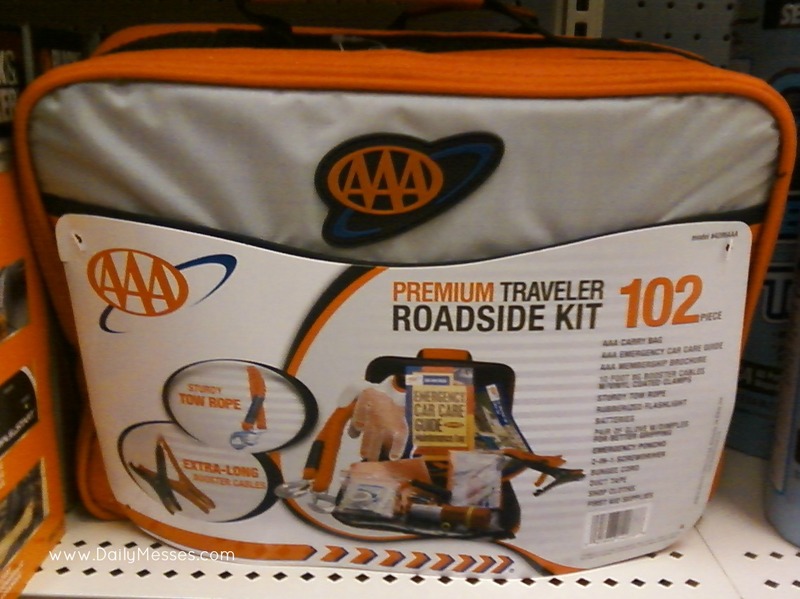 Once charged, you can leave it in your car for emergencies. The Battery Charger needs to remain plugged in while it charges the battery, so it is great for home use. If you don't know that they need, a gift card might be a good option. Child locator: The teddy bear hooks on to your child's shoes or belt and you hold onto the other piece. It works from 150 feet away and is water resistant. If you cannot see your child, press the button on your piece and an alarm sounds on theirs so that you can find them quickly. No Dragons For Tea: This book teaches kids about fire safety without it being scary. Arthur's Fire Drill: This book features Arthur and his family (PBS). Arthur helps his little sister learn fire safety. Baby Video Monitor: I didn't have the video ones when the kiddos were little, but I wish I did! Expanding Safety Gate: My boys were/are curious about everything. They've reached the point where we don't need baby/safety gates. However, these were great when they were little. Drawer/Cabinet Locks: I locked up all my cleaners under the sink and the drawers with sharp objects (think knifes, meat thermometers, hand graters) when the boys started crawling. The locks saved my sanity when they were little. They still love opening drawers though. Self-closing Wall Outlet Covers: I think these are awesome. They blend in by looking like other wall outlets, but they are child proof. These are so much better than the ones I have!